Cornbread truly is a Southern food. It originated with Native Americans and then adopted by the South. Both my grandma and my granny were famous for their cornbread, whether it was to accompany chili beans or slow cooked brown (pinto) beans. I have very fond memories of baking cakes of corn bread in a cast iron skillet with my granny or cornbread muffins at Thanksgiving with my grandma. Cornbread is a weekly staple in the Winter at my house, as I often serve it with chili beans. Although the Jiffy brand cornbread mix is very inexpensive, I wondered if I could save a little money by making my own. 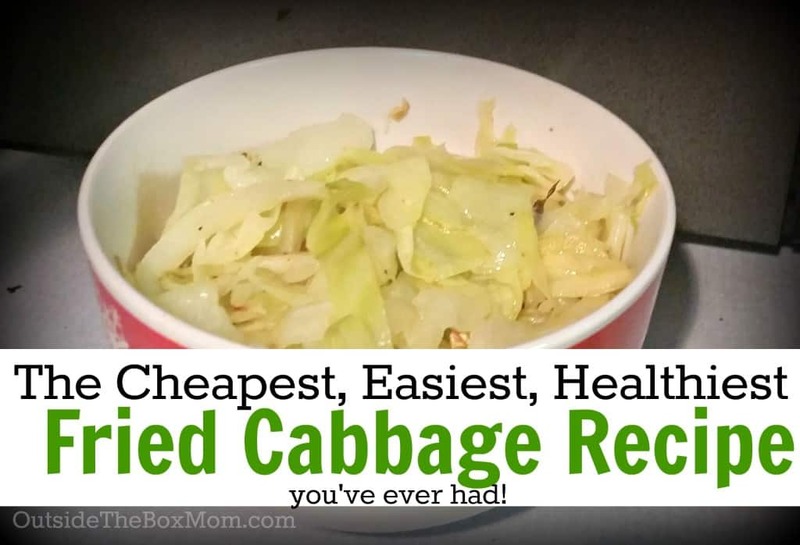 I found this recipe on the Hillbilly Housewife’s website and tweaked it a little bit for my family’s taste. In a large bowl, crack the eggs into it. Pour in the milk and oil. Mix until blended well. Add cornmeal, flour, baking powder, salt and sugar. 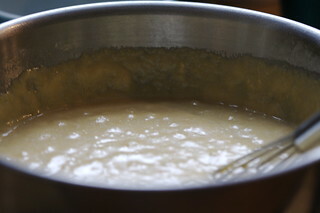 Use a whisk or a spoon and mix until it is smooth. Fill muffin tin (sprayed with cooking spray) or into paper muffin cups. Use an ice cream scoop for easy measuring. Bake at 400 degrees for 15-20 minutes. Remove from oven and allow to cool. 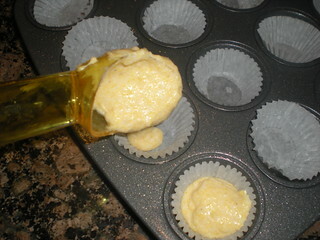 If you make a double or triple batch, you can take them out of the muffin tins and store in an over-sized baking sheet. Here’s a great method for storing jiffy mix in batches. 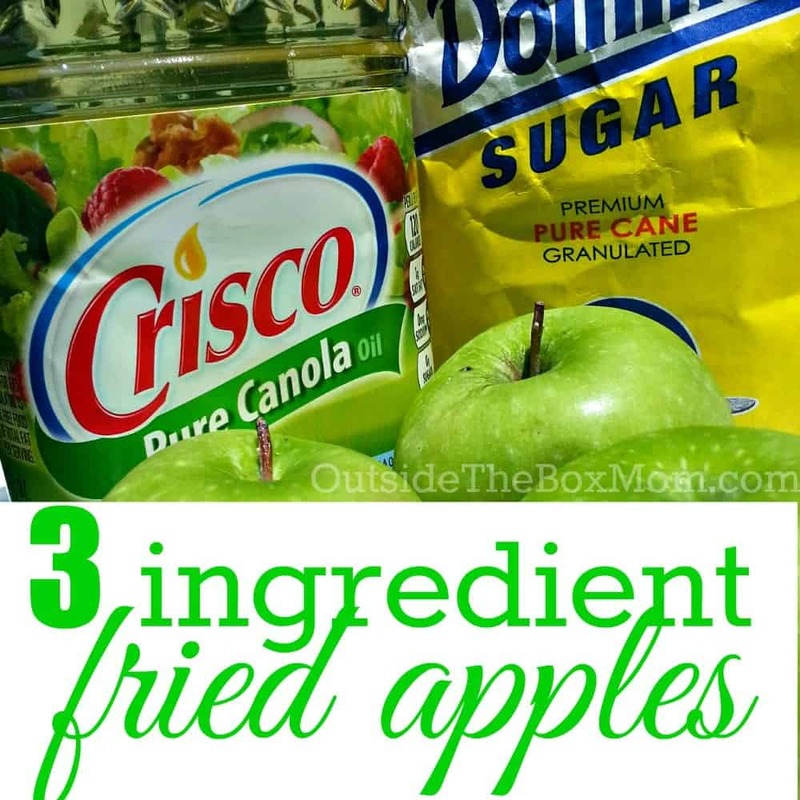 All you need to add are the wet ingredients. 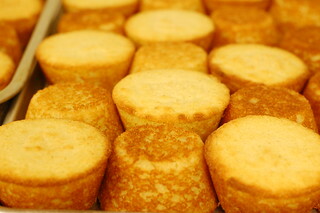 Do you use your own thrifty cornbread recipe? I learned to make cornbread from my Southern mama and my Southern mother in law…neither used a speck of sugar in their bread. Thanks for your recipe..I sure want to try it. Here from Treasure Box…hope you will come by to see me soon. Thanks BJ. Hope you enjoy! Looking forward to trying your recipe. I never like the how the box stuff turns out. Thanks for sharing. Cornbread’s great. 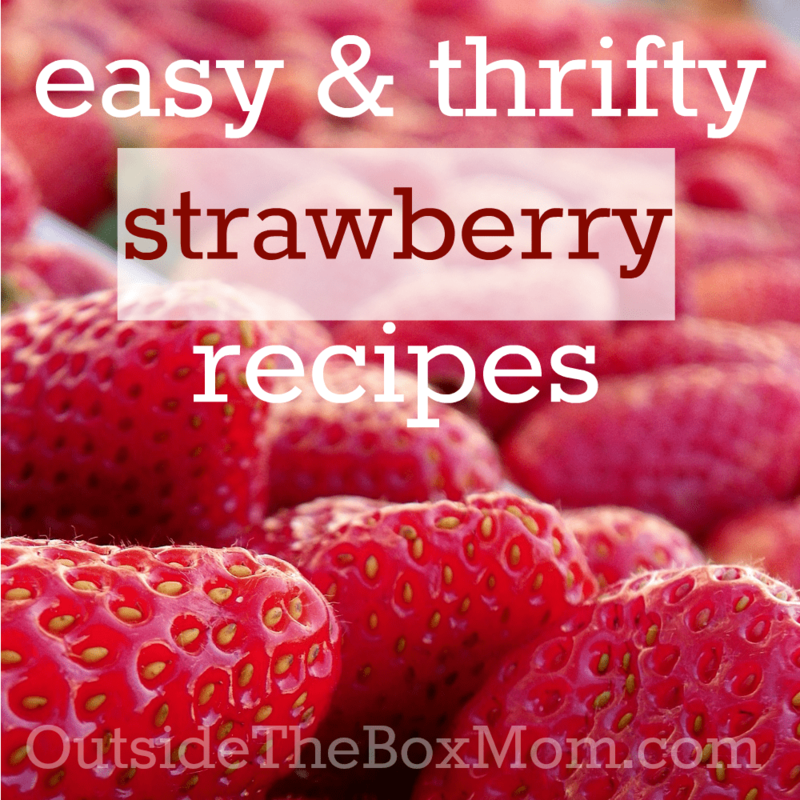 My recipe is taped inside a cupboard window because I make it so often – I do it in an 8×8″ greased baking dish. I like mine *sweet*. I’ve never seen cornbread mix in a box, though. My husband has tried and altered many recipes trying to find a cornbread flavor he remembered from a child. After many tries through the years, he has finally come up with a recipe he says is it. I have to agree – it tastes like fresh corn, is moist, and stays moist for a couple of days. It doesn’t stay around longer than that. 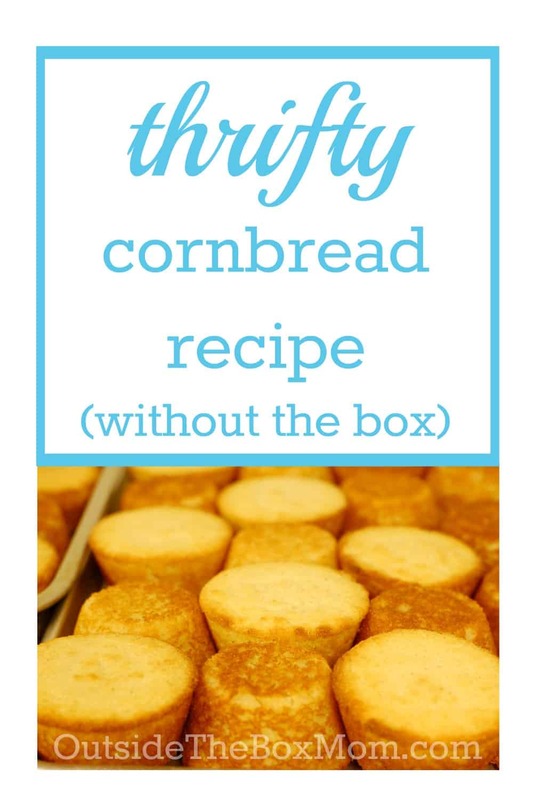 Truly worth trying if you like cornbread.